Environmentally safe disposal of e-waste is dictated by staggering amounts of legislation and regulations. Companies risk enormous fines for the improper disposal of electronic equipment making oversight a key risk consideration. ASR is fully certified – operating under the strictest ecological regulations and bearing full responsibility for secure e-waste management that is 100% compliant with environmental laws. If you want to liquidate your assets, make sure you get the best value. If you need to liquidate your assets quickly, liquidate them through us. We’ll apply the same stringent methodologies to our liquidation process as with all other aspects of our business, and you won’t have to wait for us to refurbish and resell your good. 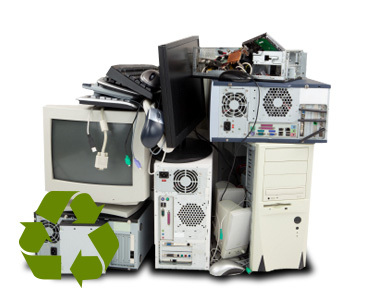 As a last resort, if you cannot resell your assets, we will safely remove hazardous materials before recycling your IT assets for precious metals and other materials. By recycling anything that cannot be liquidated or used otherwise, you will reduce your carbon footprint when disposing of your IT assets. We have a no-landfill policy, and our recycling processes follow our eGreen environmental procedure. Equipment is broken down into material categories and sent to specialized processing partners. All processing partners have been on-boarded and audited to R2 and eSteward standards. Zero electronic waste in a landfill. Your equipment is going to be used to make new products, conserving natural resources.